Claimed by Forbes magazine to be "the fastest growing company ever," Groupon.com is revolutionizing the idea of "group buying." The website features a daily deal of the best things to do, see, and buy at steep discounts in a number of cities around the country. Student Services "Gothamize Yourself" blogger Corinne Cordasco frequently posts Groupon deals on her blog, saying that sites like Groupon make it easy to enjoy NYC on a student budget. "There are tons of different coupons offered," she said, "and while some of the experiences are obviously going to be better than others, it's always fun to try something new." 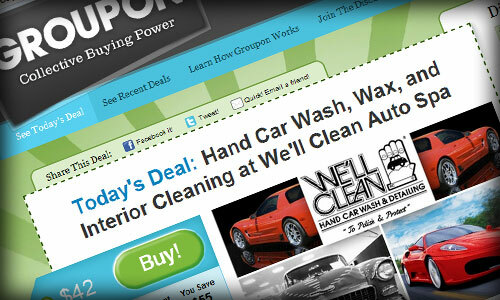 Groupon arranges discounted deals by promising high customer volume to partner businesses. Deals are then advertised with a minimum quantity required for the deal to "tip." A deal is "tipped," or enacted, when a set number of people commit to buying the discounted service. Once the deal tips, all customers who purchased this coupon deal receive the deal. If the deal fails to tip - no credit cards are charged. Past deals have included a $30 pass for two weeks of unlimited classes at Prana Power Yoga ($80 value) or a $25 cupcake-baking class at Butter Lane ($50 value). Each of these deals, or "Groupons," has been sold to over 1,000 customers. According to their website, many people purchase Groupons for individual use, but, said Cordasco, Groupons can make great gifts as well. "Sometimes, if I'm really lucky, my parents will surprise me with a Groupon," Cordasco said, recalling her favorite: a $35 spa package. The company prides itself on customer service, and its managers promise to "offer a 'too good to be true' experience from the moment you buy your Groupon to the day you use it." Cordasco confirmed this, saying that she had never had any problems with the website. Groupon.com evolved from an earlier project called The Point, a website that allows people to start campaigns for collective action and fundraising. The Point's vision for Groupon.com was to make it easier for people to take advantage of the great opportunities in their communities. Their mission was successful, and now college students in New York City can have adventures and enjoy the simple pleasures of their community without breaking the bank.